Biologist Cui Qiu manipulates genes of little-known bacteria to make them superstars of fuel production. In one recent achievement, Cui, a researcher with the Chinese Academy of Sciences‘ Qingdao Institute of Bioenergy and Bioprocess Technology, turned a few shy members of the clostridium germ family into highly productive workers. Some chewed up wood fibre and churned out sugar, while others ate the sugar and made ethanol. These small creatures would bring huge changes to the world, Cui says. In science fiction movies, scientists manipulate genes of tiny organisms to create powerful new life forms. How do you feel when working in the laboratory? Dealing with bacteria is not always as easy as it seems in the cinema. Indeed, for a few bacteria such as E coli, we now have a lot of knowledge and tools. E coli, for instance, has been studied by many scientists for a very long time. We know the function and role of almost every one of its genes, and many tools have been developed for genetic engineering. With these bacteria, scientists can indeed do almost everything at will. But the ones we are familiar with account for only a tiny, tiny, tiny fraction of all microorganisms. Most germs live and thrive in ways far beyond our grasp. Clostridium, for instance, was extremely difficult to deal with. Before our research, scientists knew very little about the function of its genes and there were no effective tools to use. The knowledge we had of E coli and the methods we used with it could not be applied to clostridium because they are as different as crocodiles and pigs. 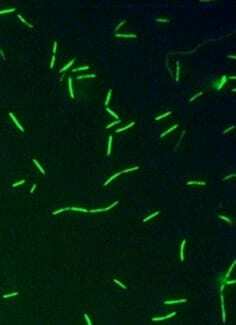 A chemical injection that enlivens E coli might very well kill clostridium. With every new bacterium, researchers have to start from scratch. A sense of defeat is more common than a sense of power. What are the technological challenges that limit the production and use of biofuel generated by bacteria? How long do I need to wait before my car can be filled with germ-made fuel? I don’t think the technology is a problem. Scientists have turned numerous microorganisms into impressive producers of biofuel that are highly efficient from the perspective of energy conversion. The biggest issue today is cost. The price for a tonne of ethanol, for instance, is less than 5,000 yuan (HK$6,332). If ethanol is produced from sugar using traditional methods, the sugar alone would cost more than 6,000 yuan. Our new method with clostridium could reduce the sugar requirement and bring the total cost close to ethanol’s market price. But then there is no profit. A biofuel must be able to compete with fossil fuels, such as petrol. But there is hope. Fossil fuel resources are declining and leading to more and more complaints about pollution and the price rises are basically irreversible. The higher the cost of fossil fuel, the more demand there is for various biofuels. What about clostridium? Why did you choose it? The clostridium name is derived from the Greek word for “spindle” because it has cells similar in shape to a rod. Scientists have known about it for a long time, as it occurs in rotting wood. Scientists found it had a particular taste for wooden fibre. But the natural species was not suitable for industrial-level production of biofuel because it died easily in a heated environment, consumed certain types of wooden fibre and produced ethanol slowly. But I was quite intrigued by the bacterium and gave it a chance. April 13, 2019 - ICGEB’s novel yeast strain increases ethanol production The HinduThe strain produces ethanol by fermenting rice and wheat straw. April 2, 2019 - The Latest News and Data About Biodiesel Production Biodiesel MagazineAs a new wave of large-scale biomass-based diesel projects develops, experts suggest market forces are ready to deliver the necessary fats, oils and greases. April 2, 2019 - Global Biofuel Enzymes Market Report: Regional Data Analysis by Production, Revenue, Price and Gross Margin Market Research PublisherGlobal Biofuel Enzymes Market Report is the new offering at 'The Market Reports' which covers key company profile, their market share and other key details. April 9, 2019 - Global Biofuel Enzymes Market Industry: A Latest Research Report to Share Market Insights and Dynamics Market Research PublisherGlobal Biofuel Enzymes Market Report is the new offering at 'The Market Reports' which covers key company profile, their market share and other key details. March 23, 2019 - Abu Dhabi project supports economy, environment and food security gulfnews.comBiofuel project bring benefits to overall economy, nature and food production. August 9, 2018 - How to protect yeast from damage in biofuel production Science DailySome chemicals used to speed up the breakdown of plants for production of biofuels like ethanol are poison to the yeasts that turn the plant sugars into fuel.